Since 1946 Section 6 of the Law Reform (Miscellaneous Provisions) Act 1946 (‘Section 6’) has been the main vehicle through which claimants in New South Wales have gained direct access to the liability insurance policies of other persons. However, Section 6 has long been the subject of criticism from the bench, bar table and solicitors alike. The criticism has been of its ambiguity and unclear interpretation, which has often led to statements such as: ‘Section 6 should be repealed altogether or completely redrafted in an intelligible form, so as to achieve the objects for which it was enacted’: Chubb Insurance Australia v Moore  NSWCA 212, per Emmett JA and Ball J at . The directness of the Court in criticising Section 6 no doubt contributed to the former Attorney-General’s decision to direct the NSW Law Reform Commission (the ‘NSWLRC’) to review and report on the section. 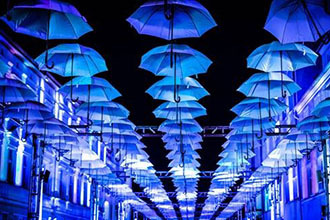 In its report titled ‘Third party claims on insurance money’, the NSWLRC recommended a new stand alone Act, rather than amending the existing Section 6. The Civil Liability (Third Party Claims Against Insurers) Act 2017 (the ‘2017 Act’) was assented to on 1 June 2017 with immediate effect, and Section 6 has been repealed. Whilst the 2017 Act does not change the purpose of Section 6, its provisions are much clearer so as to allow easier application in today’s insurance landscape, which has changed in the past 70 years since Section 6 of the 1946 Act was enacted. The objective of the 2017 Act is still to allow a claimant to access insurance monies where proceedings against an insured defendant are not possible or would be futile. otherwise has no ability to meet the liability in whole or in part, for example, because it has transferred all assets to another company (although it has no other debts). Whilst the 2017 Act provides a clearer path to proceeding against an insurer directly in the above scenarios, claimants are still required to seek leave of the Court to commence such proceedings: Section 5 of the 2017 Act. The Court’s power to grant or refuse a claimant’s application for leave remains discretionary: Section 5(3) of the 2017 Act. There is one exception. Where an insurer is able to establish that they would have been entitled to decline indemnity had the insured person made a claim on the contract of insurance, the court must refuse to grant leave: Section 5(4). What has been changed or clarified? The 2017 Act removes the need for a claimant to assert a statutory charge over the insurance monies. A claimant now has a direct path to claim against an insurer without the requirement of establishing a charge on the insurance monies. Section 6 of the 1946 Act referred to the cause of action accruing ‘on the happening of the event giving rise to the claim for damages or compensation’. It was not clear from this wording as to when the cause of action accrued and as a result it was also unclear as to what the limitation period was for bringing such claims. The 2017 Act removes any confusion and clearly states that when seeking leave to commence proceedings to recover from an insurer, the proceedings are to be commenced within the same limitation period which would have applied had the claimant been able to pursue the cause of action against the insured person or corporation: Section 6(1) of the 2017 Act. An exception is where the claimant commenced proceedings directly against the insured person in the first instance. Provided that was done within the applicable limitation period, the claimant will then be able to seek leave to pursue the insurer even if the limitation period has expired: Section 6(2) of the 2017 Act. In circumstances where the claimant first commenced proceedings against the insured person and obtained a judgment in their favour, the judgment will not act as a bar to the claimant subsequently seeking leave to commence proceedings directly against the insurer for the same loss in circumstances where the insured person is unable to meet the judgment: Section 8 of the 2017 Act. Scope – Who is an insured person? Another uncertainty which arose from the obtuse wording of Section 6 was whether the right to pursue an insurer directly extended to circumstances where the insured defendant was not the person who entered into the insurance contract. This ambiguity arose from the reference in Section 6(1) to ‘any person…who entered into a contract of insurance by which the person is indemnified against liability’. The wording in the 2017 Act clarifies the previous position by defining an ‘insured person’ to include a person who is: ‘not a party to the contract of insurance but is specified or referred to in the contract, whether by name or otherwise, as a person to whom the benefit of the insurance cover provided by the contract extends’: Section 3 of the 2017 Act. The reference in Section 6 to the insured person’s liability ‘on the happening of the event giving rise to the claim for damages or compensation’, also caused uncertainty as to whether third party claimants could pursue an insurer in relation to claims for pure economic loss noting that in such claims, the insured’s conduct or the event giving rise to the loss may often be quite separate in time from when the actual economic loss is suffered by a claimant. With the removal of that wording, no such difficulty arises and claims for pure economic loss will be captured by the 2017 Act. Another cause of much litigation was uncertainty as to whether the statutory charge required by Section 6 attached to all insurance monies under the relevant policy. This was of concern in matters involving Directors and Officers insurance policies where the defence costs are funded from the same pool of funds as those available to meet the claim. Due to the uncertainty as to whether the priority of charges required by Section 6 prevented insurance monies from being accessed to pay defence costs, some insureds elected to take out separate ‘defence costs only’ policies. Whilst the NSW Court of Appeal in Chubb Insurance Company of Australia Ltd v Moore  NSWCA 212 determined that the charge in Section 6 did not prevent an insurer from paying legal costs, this position has now been confirmed. The 2017 Act defines an ‘insured liability’ as ‘a liability in respect of which an insured person is entitled to be indemnified by the insurer’. The definition confirms that the liability of the insurer is limited to an amount which the insured person would have been liable to pay in damages to the claimant. This excludes defence costs. Section 6 will continue to apply to proceedings which have been commenced against insurers under Section 6 prior to 1 June 2017: see Section 12 of the 2017 Act. Similarly, it was stated in the Second Reading Speech that the 2017 Act would not increase the current liability of insurers. The limitations provided by Section 6 have been retained in the 2017 Act. An insurer is still entitled to rely on any defence which it would have been able to rely on in a claim made by the insured person under the Policy. As stated above, Section 5(4) of the 2017 Act provides that the Court must refuse to grant leave in claims where an insurer can establish that it would have been entitled to decline indemnity under the contract of insurance or under any Act or law. Further, an insurer is also able to rely on any defence which would have been available to the insured person had proceedings been commenced against them rather than the insurer: Section 7 of the 2017 Act. Another restraint which remains is the prohibition on recovering more than the insured amount of cover. For example, in the event where one incident occurs during the relevant year of cover and exhausts the sum insured before a subsequent claim is made, no further recovery will be available: Section 9 of the 2017 Act. Notwithstanding the above, it is arguable that the 2017 Act does increase the exposure of insurers. It has now been clarified that leave can be granted to pursue an insurer in relation to the liability of a third party beneficiary under the relevant policy, and not just for the liability of a person who is a party to the contract of insurance. In addition, the 2017 Act states that where a claimant has secured a judgment against an insured person, the judgment is not a bar to the claimant seeking leave to then pursue the insurer for all or any amount of the judgment which the insured person was unable to meet. Further, the clearer and more streamlined approach which the 2017 Act has provided may in itself lead to more claims being made directly against insurers. Only time will tell whether or not insurers will see more claims brought directly against them as a result of the 2017 Act. In the meantime, surely the clarity provided will be a welcome change. Written by: Robert Crittenden, Principal & Nicole Cerisola. This article was first published in Lexis Nexis Australian Civil Liability journal, volume 14, number 6, August 2017.